Over the past decade, Dragon Gate decided their top tag team through the Summer Adventure Tag League (SATL). Known for its great action and the inspiration for establishment of the Twin Gate division, the SATL was known for a decade of excellence. However, the most recent SATLs were not well received. The SATL time period was seen as a point of stagnancy for Dragon Gate as it was right after Kobe World, but before the three big events that conclude their year. Last year, the slowness of SATL killed the initial momentum YAMATO had from winning the Dream Gate championship at Kobe World and forming Tribe Vanguard. 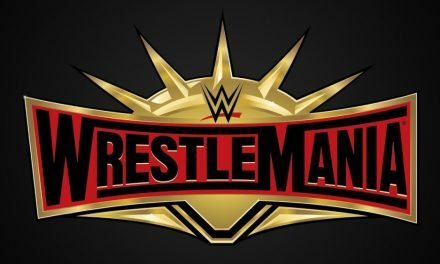 The matches were fine, but it felt like the company decided to spin its wheels at its worst time. It was time to give SATL a break. The seeds for the 5 Unit Survival Race League were planted by the feud between the senior unit Jimmyz and the rookie unit MaxiMuM this summer. After MaxiMuM won the would-be concluding match on July 6th, Kotoka proclaimed MaxiMuM the strongest and best unit in Dragon Gate. This naturally brought out the other units posturing that their unit was the best. Shingo Takagi, the leader of VerserK, thought that it was time for some of the units to disappear Masaaki Mochizuki and Don Fujii, whom are the senior-most unaffiliated wrestlers, came out to propose a league to decide which one was best, and the loser will disband. The 5 Unit Survival Race League will begin on August 5th in Kyoto and end September 16th in Osaka. The two lowest finishing teams will be forced to have an Unit Disbands match of some nature at Dangerous Gate on September 19th in Tokyo Ota City Gymnasium. It’s not known how the league will be decided between a point system or win percentage. Matches with any amount of unit members (singles through 12 man tags) count towards the Survival Race. Title matches, dark matches, and matches with unaffiliated wrestlers do not count towards the league. History: Trying to chronicle the Jimmyz’ history in an article like this would be an absolute disservice; it’d take nearly a dozen paragraphs to discuss the ebbs and flows. There are some things worth noting. The Jimmyz train began during the Blood Warriors vs Junction Three war of 2011-12; when BXB Hulk and Akira Tozawa were in a pronounced feud with then named Susumu Yokosuka and KAGETORA. This concluded not only with Hulk+Akira retaining the Twin Gate titles, but taking the names of Susumu and KAGETORA. The Blood Warrior team claimed the right to rename the losing team, they thought the two were boring, plain, uninteresting. The Japanese word for plain is Jimi, so they would now be known as Jimmy Susumu and Jimmy Kagetora. After the conclusion of the BW vs JIII feud, they would gain partners in Ryo Saito, Yasushi Kanda and Genki Horiguchi, and this would form the nucleus of the Jimmyz. All members decided to adapt to the Jimmyz aesthetic so they took a Jimmy name and wore eyeglasses to emulate Susumu/Kagetora. Since the formation, the Jimmyz have gained members (Naoki Tanizaki, K-ness) and lost a member (Naoki Tanizaki). They have won every single championship and tournament Dragon Gate has to offer, including an incredible eight different reigns as Triangle Gate champions. They’ve been painted up in combat paint and fought amongst themselves and they have all joined Fujii Heya and decided to be sumo wrestlers. They were the surviving unit from the summer of 2015, forcing both the Millennials and Mad Blankey to disband. For fans whom have started following the promotion in recent years, the Jimmyz have been a point of stability and comfort. If they survive this, they might not just be a point of comfort, but define an era of Dragon Gate. Crazy Max’s tenure would be in their grasp. If they can just get through the Unit Survival Race. 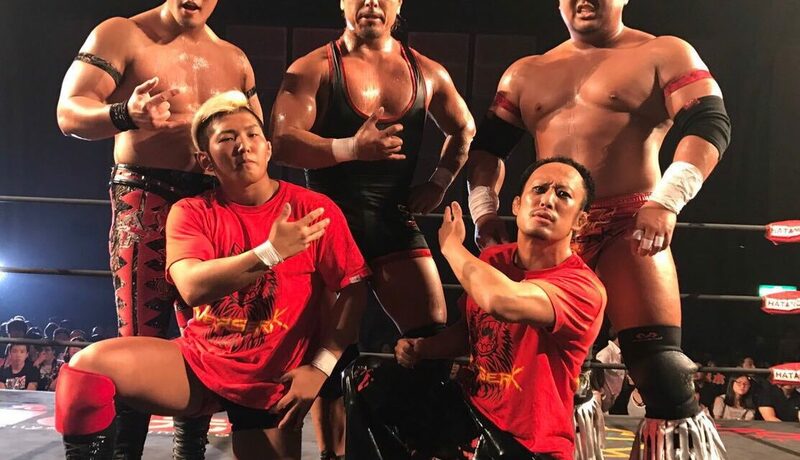 Prospects: As they are the longest tenured team in Dragon Gate history (and are closing onto Crazy Max’s all-time record), it would not be crazy to think the Jimmyz are at risk of disbandment. 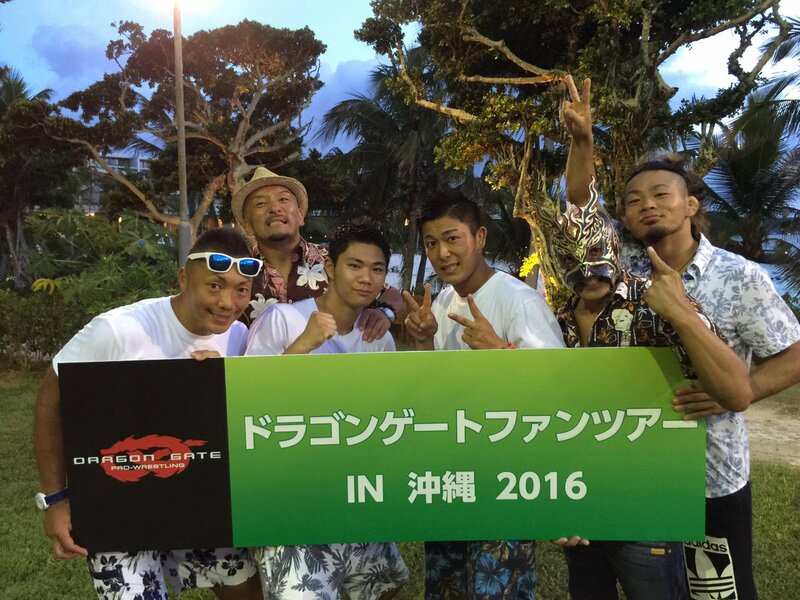 Members of the unit have held every title Dragon Gate offers and have won every major tournament while members of the unit. 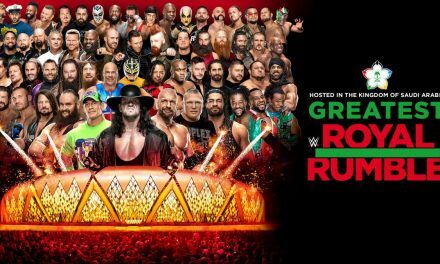 They’ve recently lost the big match in their feud with MaxiMuM, so there is not a tremendous amount of unit-wide momentum. However, I can’t shake the feeling that I don’t know what you’d do with the guys when the unit ends. The careers of the Jimmyz are so intertwined dating back to Susumu and Kanda being a tag team in their pre-M2K days, and the fans don’t want to cheer against older guys. 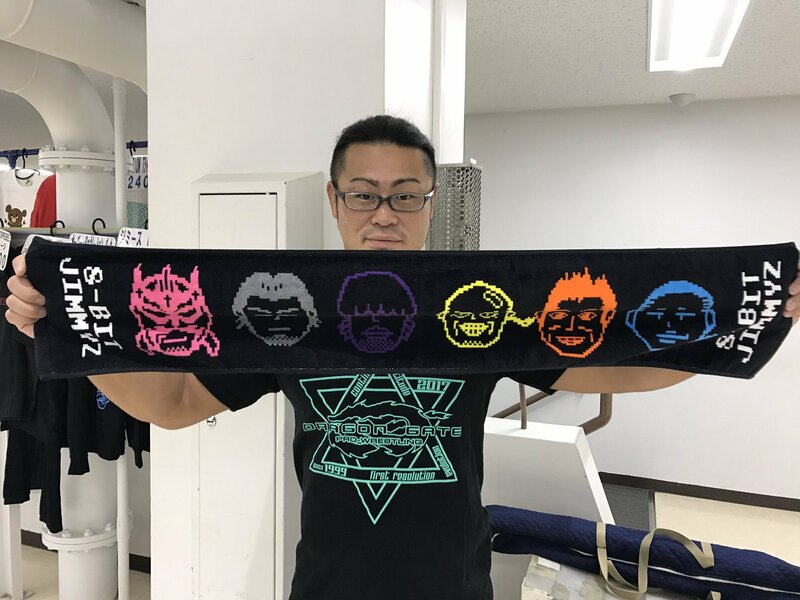 It’s why Mochizuki hasn’t been a heel since Aagan Issou and why Osaka06 along with Don Fujii spent such a short time as heels with Mad Blankey. Still, if there is to be a wrapping up point, this could be it. The Jimmyz train can either reach their destination as the winners of the Survival Race, or almost seven year history can end at Dangerous Gate. 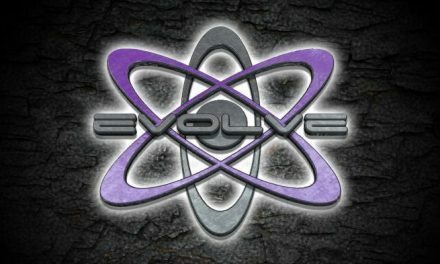 History: Three separate events occurred during Scandal Gate 2015 on August 16th, 2015 that directly led to the formation of Dragon Gate’s current heel unit, VerserK. The first was Kotoka’s psychological break attacking former Millennials teammates, turning him outright heel for the first time in his career. The second was Mad Blankey becoming the first ever heel unit to outright (not throw) a loser disbands match. The third was Shingo Takagi defeating Masato Yoshino for the Open the Dream Gate title, turning heel and attacking Shachihoko BOY, leading to his eventual ouster from Monster Express. The remainder of August and the Summer Adventure Tag League that year was a build up of “Mr. Selfish” Shingo Takagi and the unnamed rudo army consisting of Takagi, then current Twin Gate champions Naruki Doi & YAMATO, Mad Blankey mainstays Cyber Kong, Mondai Ryu & Punch Tominaga, and the heel leaning ex-Millennials Kotoka and Eita (there also was a feint that T-Hawk would be allied with Takagi, but he was quickly turned on before the Rudo Army took form). On September 23rd, the rudo army revealed their name as VerserK and their theme was that only the strong should survive. VerserK would kick out Eita that very night, and that would establish the core of the unit for the most of the next few years. VerserK has had its ups (YASSHI joining nearly immediately after his stunning Dragon Gate return, and Lindaman’s heel turn in 2016 that’s led him to his first ever championship belt) and its noticeable downs (losing both of YAMADoi within six months without a solid Number Two to take their place, and becoming rather rote in their rudo shenanigans) over their two years, but they’ve been more focused upon than either Mad Blankey or Deep Drunkers. Very rarely has VerserK been without a belt, and they are walking into the Unit Survival Race as the reigning Triangle Gate champions, which is a belt that historically denotes what’s the strongest unit at any given time. Prospects: Here are the two things that have to stay in mind when thinking about VeserK’s chances of disbanding due to losing the Survival Race: Only two heel units have lost a disbands match (that’s always said with the caveat that Deep Drunkers threw their disbands match to usurp Kenichiro Arai), and Mad Blankey is the longest tenured “pure” heel unit of all time, so heel units have an expiration date. To expand on the former, it’s much more likely for a heel unit to transform into the next heel unit. The continuity from Team Doi to Blood Warriors to Mad Blankey is the most recent example of this. VeserK will enter their third year right after Dangerous Gate, and they need some sort of refreshing. Playing Shingo Takagi and his henchmen has so much of a shelf life. It is arguable that VerserK has already expired. Going off of past history, VeserK is more likely to escape the Survival Race without disbanding, but expect some changes or evolution to happen before the year is out. History: The seeds of Over Generation were planted with CIMA’s injuries in the summer of 2015. He had both his teeth knocked out and then his replacement teeth knocked out, which forced him to be on the shelf and pull himself out of the Summer Adventure Tag League. Concurrently, the two trainees for 2015, Kaito Ishida and Takehiro Yamamura started their exhibition matches. As Osaka06 was entered into SATL, Gamma needed a replacement for CIMA. So Ishida and Yamamura had a match to determine whom would fill CIMA’s spot, and Yamamura prevailed and decided to wear CIMA’s ring gear throughout the tournament. Concurrently, Punch Tominaga held a rather tenuous position in the unit landscape. He remained a heel after the disbandment of Mad Blankey, but he wasn’t allowed outright entry into VerserK. Instead, Shingo Takagi viewed his worth so lowly that Tominaga was treated like a slave. This all came to a head on October 8th, when Osaka06+Fujii would defend the Triangle Gate championship versus a VerserK team of Takagi, Kotoka and Cyber Kong. During the match, PT tossed off Takagi’s shackles and was joined by Eita, El Lindaman, Ishida and Yamamura in defending the veterans from VeserK’s wraith. The younger wrestlers were united in their cause against VerserK and they asked for the veterans’ leadership in helping in this quest (Don Fujii refused because he is a man with a higher purpose, and that higher purpose was to join up with the Jimmyz to be sumo wrestlers against Verserk (2015 was wild ya’ll)). This became the genesis of Over Generation: a unit with the public purpose of uniting the first era of Dragon System wrestlers with the newest with the more opaque goal of preparing the newer wrestlers to eventually supplant the now aging stars as the core of the promotion. And over the two years of the unit, it has been mostly successful. After being aimless since the conclusion of the Millenials, Eita has won the Brave Gate and a SATL with Dragon Kid. After leaving the unit, Lindaman has won his first ever championship. Yamamura is Dragon Gate’s breakout star of 2017. Dragon Kid and CIMA are now (controversially) the longest reigning Twin Gate champions in company history. Although they’ve never won the Dream Gate nor the Triangle Gate, Over Generation, and their graduates, have bridged the gap between the oldest wrestlers from the Toryumon era, and the youngest whom weren’t reading when any of the oldest wrestlers debuted. Prospects: Over Generation’s theme and purpose has always been uniting the first generation with the newest in an effort to both prepare young wrestlers for the rest of their career and hope that the older wrestlers’ crowd reaction would rub off on them. It feels like Over Generation succeeded in their mission as it made stars out of El Lindaman and Takehiro Yamamura while completely rescuing Eita’s career. Neither Eita nor Yamamura need CIMA or Dragon Kid around to lend them credibility; they both have it on their own. If Over Generation was already graduating members and bringing in new ones, I would feel much better about their chances of existing after the Survival Race. They haven’t though. OG seems to have run its course. It has fulfilled its purpose, so I feel like Over Generation is the favorite in the “What Unit is Going to Disband” discussion. Time for the mama birds to shove their babies out of their nest and see who can fly. History: The smallest full-time Dragon Gate unit traces their history to last year’s DEAD OR ALIVE apuestas match, when YAMATO got betrayed by his best friend/tag partner Naruki Doi and was kicked out of VerserK. As soon as he was turned upon, YAMATO got aid from Kzy, Yosuke Santa Maria and the returning BXB Hulk. 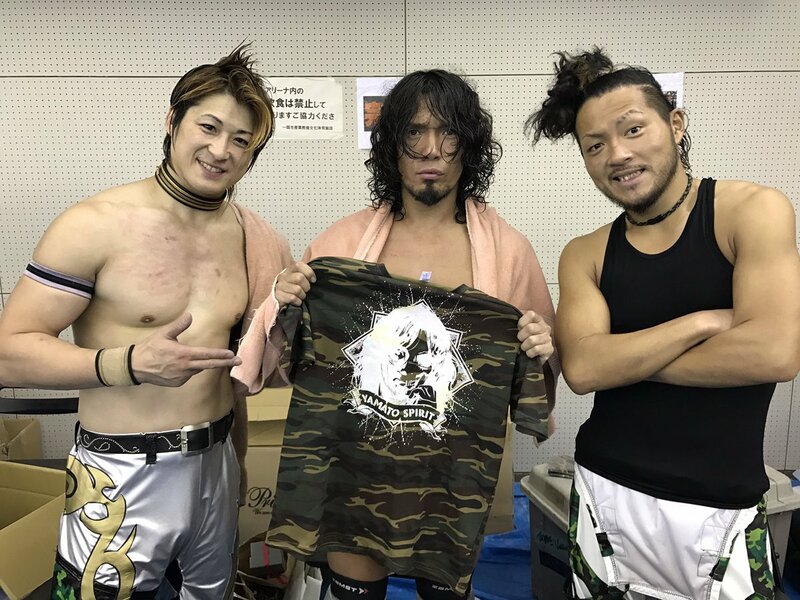 The four united as Tribe Vanguard with the concept of being the leaders/vanguard of Dragon Gate along with a camo theme that calls back to Hulk’s past in the Japanese Self-Defense Force. With the exception of YAMATO winning the 2016 King of Gate and the Dream Gate at Kobe World 2016, this has been the high point of Tribe Vanguard’s tenure. Since then, Tribe Vanguard added part-timer Flamita, had a couple of unsuccessful Twin Gate challenge, and a Hulk vs YAMATO Korakuen Dream Gate where Hulk nearly killed YAMATO on an EVO to the apron. Flamita has also had his annual “HEY GUYS I NEVER LOST THE BRAVE GATE TITLE SO I WANT A BRAVE GATE TITLE SHOT” match. That has been the history of Tribe Vanguard. Prospects: Underwhelming is the right word to describe Tribe Vanguard’s tenure. From being precariously small, to the unit theme not connecting, to unit’s lack of success outside of YAMATO’s Dream Gate reign, Tribe Vanguard has never lived up to their potential. Dragon Gate could easily use the Survival Race to treat the unit as a chronically ill pet and take it out of its misery. It would look really bad for YAMATO to probably defend the Dream Gate on the same night that his unit loses their disbands match. I think Tribe Vanguard will somehow survive the league. They could use another team’s disbandment as a way to bolster a unit that desperately needs momentum and give Tribe a much needed better number two wrestler, and someone else to be the loss post so Kzy and Maria get the placement they deserve. Consisting of: Naruki Doi (Co-Leader), Masato Yoshino (Co-Leader), Kotoka (2nd), Big R Shimizu, Ben-K.
History: The newest unit in Dragon Gate, the story of MaxiMuM when Naruki Doi was ejected from VerserK in November of 2016. At this time, all five members were unaffiliated (Monster Express recently broke up, Kotoka left VerserK, and Ben-K was still in his young dragon phase), and they starting teaming together. There was a lot of hesitance between Doi and Yoshino due to their shared history and Doi’s two previous betrayals of Yoshino. Everything was pointing to the five making it official in early 2017 when disaster struck and both Yoshino and Kotoka suffered injuries. This put everything on ice, but Doi, Shimizu and Ben-K remained united and won the Triangle Gates as an unaffiliated team. Luckily, the injuries weren’t as serious as one thought for both Yoshino and Kotoka, and upon their return, MaxiMuM was officially formed on May 4th. Since then, MaxiMuM has been embroiled in a feud with Jimmyz, with MaxiMuM disparaging the Jimmyz as old-timers and Jimmyz considering MaxiMuM as DoiYoshi and a bunch of garbage younger guys. MaxiMuM won the seemingly blow-off on July 8th in a Capitan’s Fall Naniwa Rules Elimination Match, but the two units have remained at each other’s throats since. Prospects: With only two months under their belts, one should consider MaxiMuM as the safest Unit in the Survival Race. It’s been talked up that Shimizu is bad luck for his units in disbands circumstances; DIA.Hearts and Monster Express both lost disbands matches within the same calendar year as another. They’ll probably play up Shimizu’s luck, and Kotoka’s often injuries and Kotoka’s relative rank given his age. This shouldn’t discourage MaxiMuM’s fans. The worst anyone can expect for them is that they could have a bad league and be forced into the disbands match (which they would most likely win). MaxiMuM defeat Over Generation. Over Generation must disband.